Within an easy three hour drive of Melbourne, you can find a range of things to do including hiking, biking, skiing, world class wineries and restaurants. Festivals and events showcasing the local areas are held year-round, so check what’s on and plan your trip. No matter the season, if you need a break from the city, here are 10 of the best weekend escapes from Melbourne. With Australia’s largest concentration of natural mineral springs, the Daylesford area is a great place to unwind for a weekend. Looking for a relaxing visit to the spa, try the Hepburn Bathhouse & Spa. For something more active, take a walk around the scenic Daylesford Lake. If you are looking for some great food and a luxury retreat, look no further than the Lake House, Victoria’s multi-award winning small luxury hotel. It also features a renowned restaurant, cooking school and day spa. Daylesford is host to a year round calendar of festivals and events, there is always something happening. Only 110 kilometres from Melbourne, Daylesford is an easy weekend escape. An important town during Victoria’s gold rush, Ballarat has a rich legacy from its mining past. Once a very wealthy city, many of Ballarat’s grand Victorian buildings have been preserved and house a number of art galleries and restaurants. 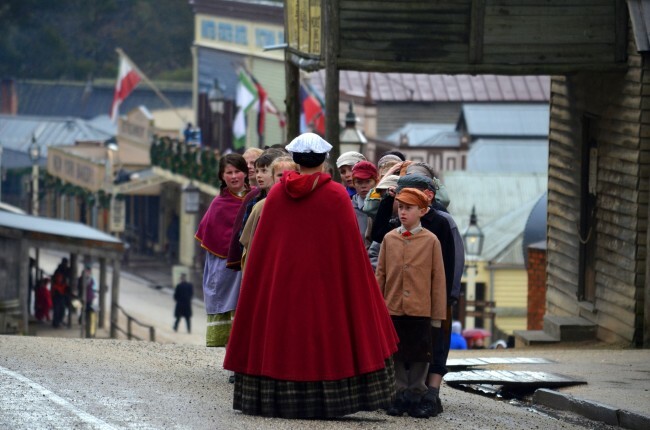 Sovereign Hill, a historic theme park, is a chance to travel back in time and imagine what life would have been like in the 1850s at the height of the gold rush. It features the Blood on the Southern Cross sound and light show nightly, which recreates the Eureka Rebellion. This rebellion is significant in Australia’s democratic history. Lake Wendouree and the nearby Ballarat Botanical Gardens are a fine place for a leisurely walk. Farther west from Ballarat, the Grampians offer a spectacular outdoor escape. With some of Victoria’s premier hiking, Grampians National Park is a great place to see native Australian flora and fauna. 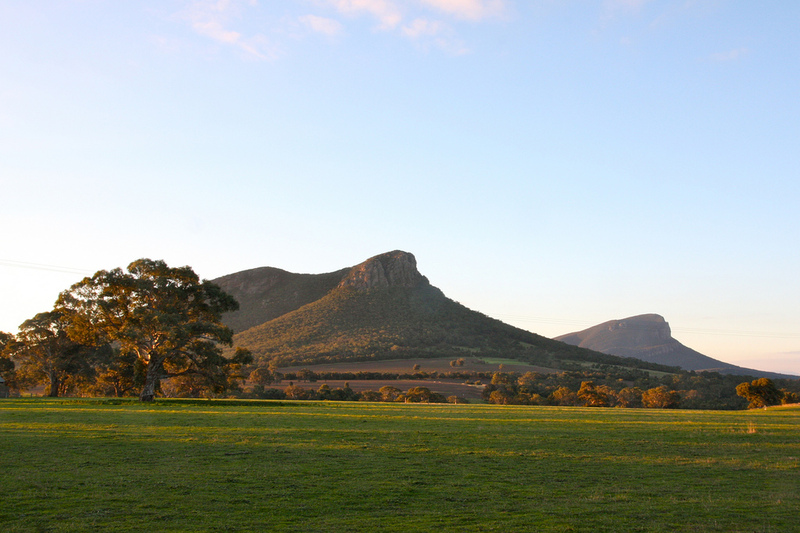 The towns of Halls Gap and Dunkeld offer some great accommodation options, including camping and many private cottages. The Royal Mail Hotel in Dunkeld, near Mt. Sturgeon in the Southern Grampians, is a culinary destination in its own right, having won a number of awards. It is very popular and reservations are recommended on weekends. No matter what your interests, Lorne has something to offer. A seaside town, it offers access to the beach, but it also is perfectly situated on the Great Ocean Road, one of Victoria’s premier scenic drives and a gateway to the Great Otway National Park. Lorne and the nearby town of Apollo Bay host a number of festivals and events. With a wide range of wineries and restaurants, culinary and wine lovers won’t be disappointed. Wilson’s Promontory National Park, or the Prom, as it is affectionately known by the locals, is Victoria’s largest coastal park and a family favourite. There are lots of walking opportunities and a good chance to see some of Australia’s native flora and fauna. One of the highlights is a walk along Squeaky Beach, which as the name suggests, makes a squeaking noise as you walk. It has extensive campground and cabins at Tidal River. The Prom is very popular during summer and school holidays. Very close to Melbourne, the Mornington Peninsula provides a quick and easy weekend away. There is plenty to do for food and wine lovers, with many award winning wineries and restaurants in the area. The Mornington Peninsula wineries are known for their pinot noirs. The towns of Red Hill, Portsea and Sorrento won’t disappoint. If you are looking to get outdoors, Point Nepean National Park provides a great place to both learn about history and take a relaxing bike ride. Scuba diving and snorkelling are also popular on the peninsula. The ferry from Sorrento to Queenscliff provides an easy option to head across Port Phillip Bay for lunch. A trip to Rutherglen and nearby Glenrowan is an opportunity to explore the country made famous by Australia’s most famous folk hero, the bushranger Ned Kelly. Located north east of Melbourne, Rutherglen is also famous for its wineries. With over 20 award winning wineries, this region is known for its fortified wines: port, tokay and muscat. There are a number of festivals held throughout the year. This area of Victoria also features an extensive network of Rail Trails, which provide numerous opportunities to explore the area on a bike. Also in Victoria’s north-east, the King Valley was heavily influenced by Italian immigration. This well regarded wine region is known for its Italian varieties. If you’re looking for a nice Prosecco, Sangiovese, Nebbiolo or Chianti, you will find all of them and many more in this region. For a leisurely lunch, there are a number of wineries offering fresh, local produce, including Dal Zotto and Sam Miranda. If you’d like to improve your Italian cooking skills, you can take a class at the cooking school at Pizzini Wines. Located on the edge of Victoria’s High Country, Bright is a fantastic year-round destination providing access to a range of outdoor activities. Bright is located near both Mt. Buffalo National Park and the Australian Alps. In the autumn, the trees provide an inspiring display of colour. Spring and summer provide great access to hiking and biking options. Skiing is a popular winter activity with access to both downhill and cross country trails. To explore some of the fantastic scenery, take a scenic drive on the Bogong Alpine Way, a 230-kilometre section of the Great Alpine Road, which loops through Bright, Mount Beauty, and the ski areas of Falls Creek, Dinner Plain and Mount Hotham. Mansfield is another great year round destination, providing access to the Mount Buller ski resort in the winter. It is also near Mt Stirling, and you can hike to the iconic Craig’s Hut which was built for the movie The Man from Snowy River. Hiking, fly fishing for trout, horseback riding and hang gliding are also popular summer activities in the Australian Alps.